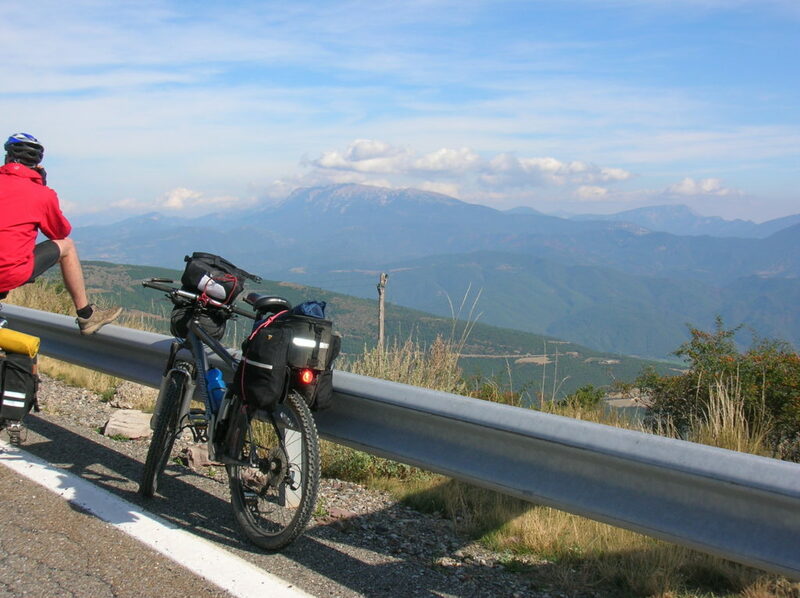 Our trip through the Pyrenees started on the French side in St Gaudens, about 60 km east of Tarbes and took us across the crest of the Pyrenees onto the Spanish side and then down into the hills and mountains of Catalonia before completing the ride into Girona. 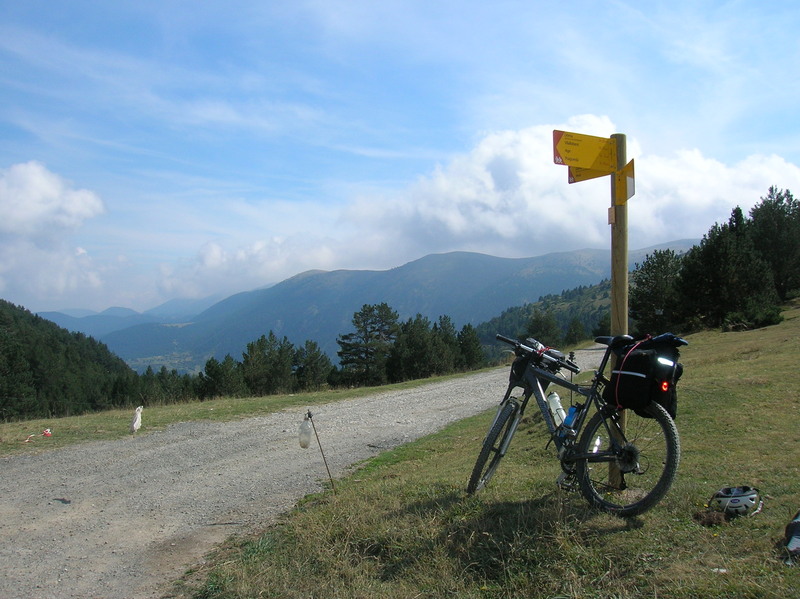 There’s a station at St Gaudens and from here you gradually climb from into the foothills of the Pyrenees passing through the villages of St Girons, Ouest, Seix, Couflens and finally to Salau, in all about 75 km from the start in St Gaudens. 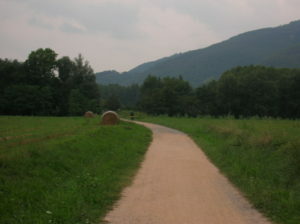 The road after Salau is a dead end but carry on up for about 2 km. 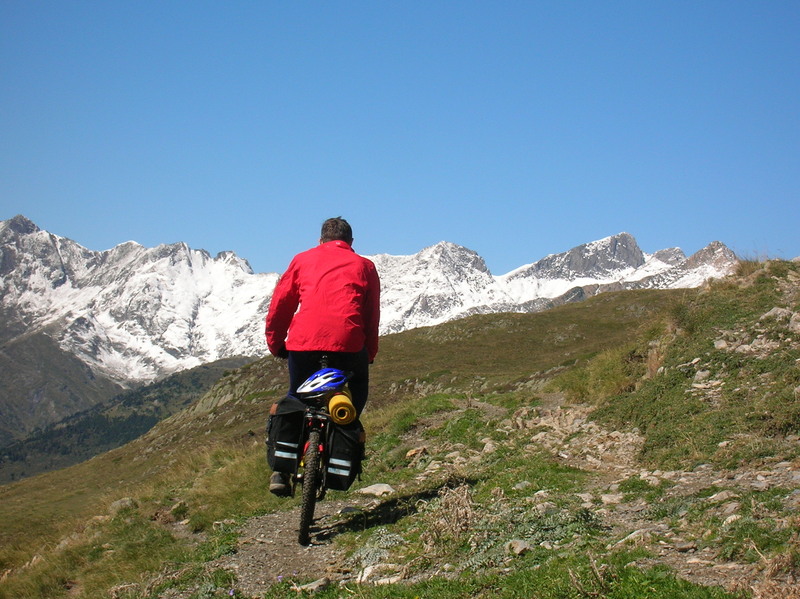 The road turns sharply left – there are good places to bivi in the woods around here. At this point you need to pick up the track on the other side of the streams and this requires a bit of map work. 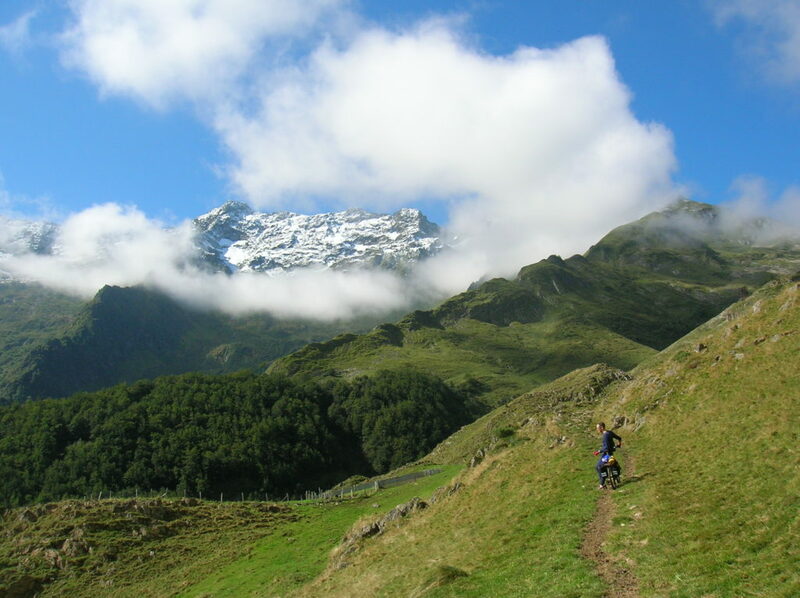 The track is mainly footpath, steep and not rideable, so it’s a long push but the views are stunning and just get better and better as you get higher. 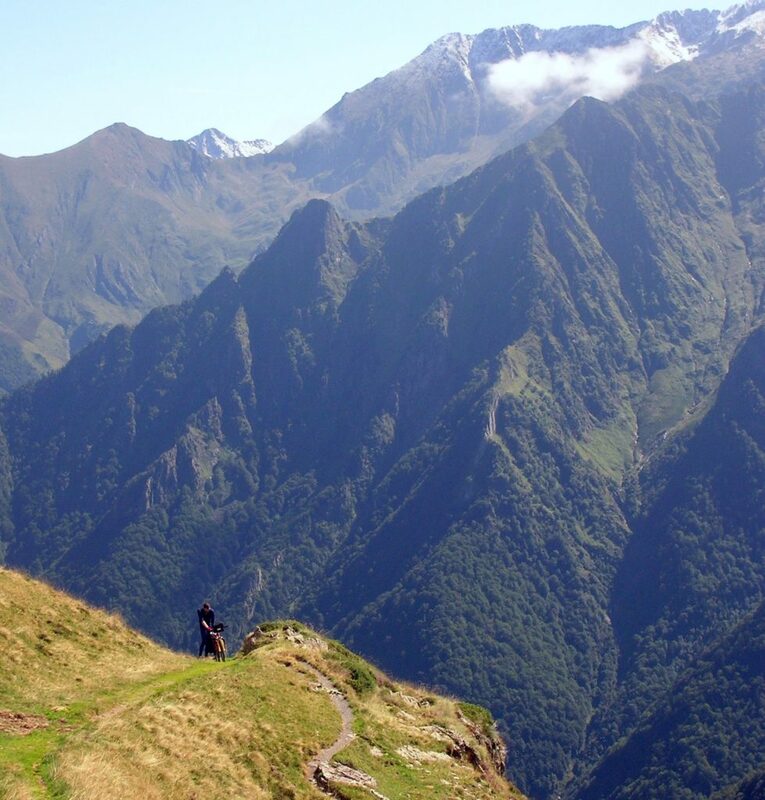 After crossing the Port de Salau (2,087 m) you are rewarded with a long, straightforward double track descent the whole way down to the Isil valley. Continue down the valley down to Llavorsi. From Llavorsi there are a number of options to get to the small town of La Seu d’Ugell to the east, but the best one is as follows. About 8 km south of LLavorsi take a minor road to Roni and continue towards Port Aine but aim for the Col de la Baseta and take dirt roads and tracks through St Andre and descend into La Seu D’Urgell. The next section takes you on the south side of the Sierra del Cadi across to Ripol. From La Seu head on minor road south east through El Ges and then from Tuixen heading east through Gosol and Saldes to Guardiola and Burguena. 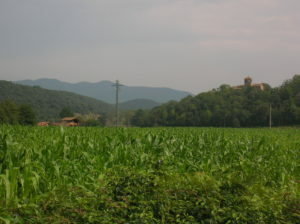 From here head east on the B402 over the Coll de Coubet and descend to Olot. 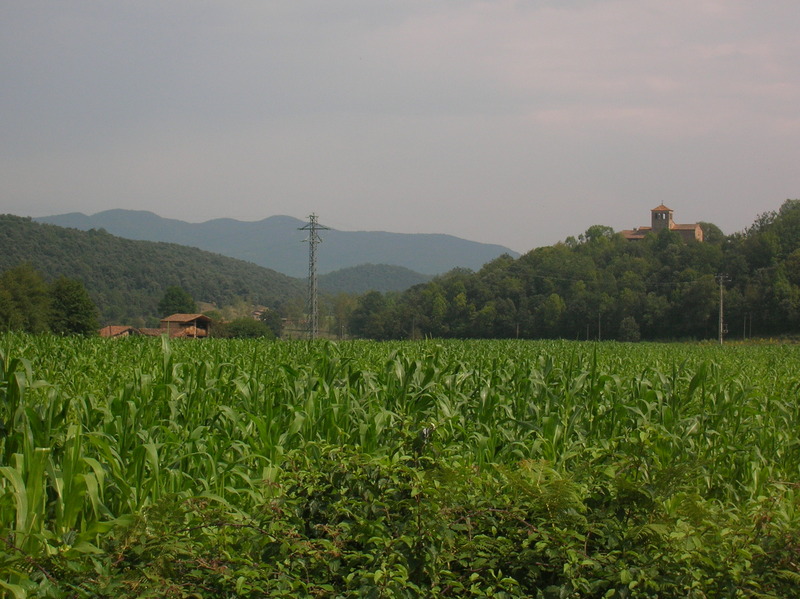 From Olot a Via Verdes (green roads) takes you all the way to Girona. As it follows an old railway and is well surfaced gravel track gives an easy contrast to the hard riding of the previous days. 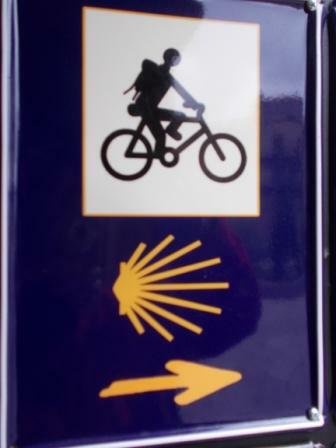 If you’re heading directly to the airport it is easier to find a way from Angles than going into the centre of Girona. The 1:150,000 Michelin map sheet 147 gives plenty of detail. If you’re stopping overnight before going to the airport there’s a campsite at Fornells de la Selva, south of Girona. To get to the airport from here head south on minor roads to join the C25 which you can take directly to the Airport. May through to September are the best times to go but July and August can be hot even in the mountains. Towards the end of September there can be snow on the mountains and a frost in the higher valleys at night. Campsites tend to close from mid September. 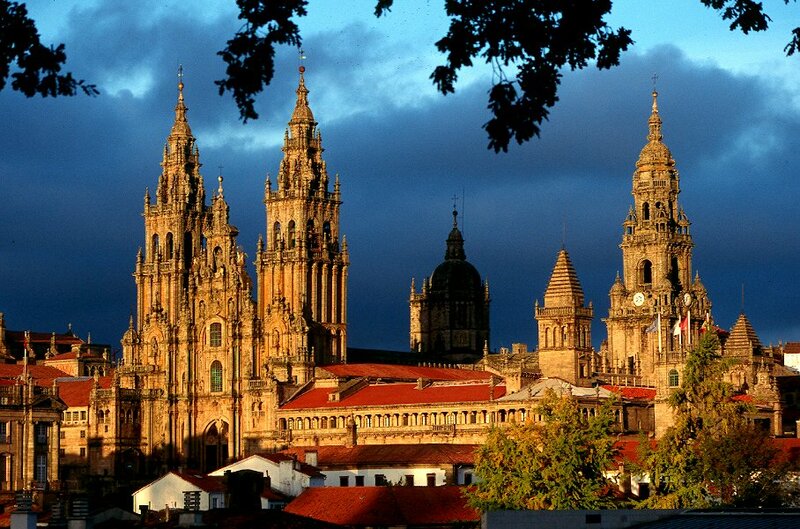 Campsites can come and go, so it’s best to get details from local tourist offices as UK websites only tend to have the larger caravan sites in Spain listed. There plenty of opportunites for wild camping on the off-road sections. The main villages have shops but villages on some sections are quite spaced so you may need to carry a bit extra food and especially water.